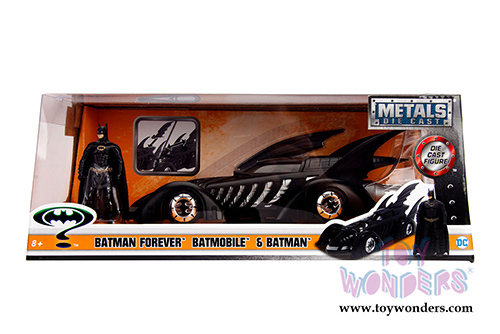 98036 Jada Toys - Metals Die Cast | 1995 Batman Forever™ Batmobile™ with Batman™ figure. 1:24 scale diecast collectible model car. 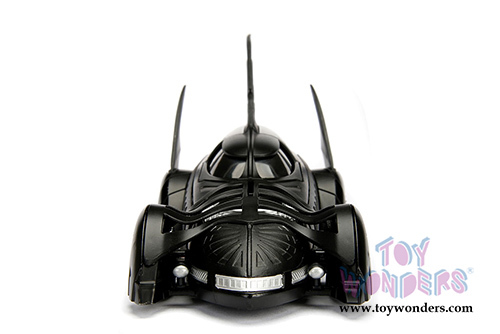 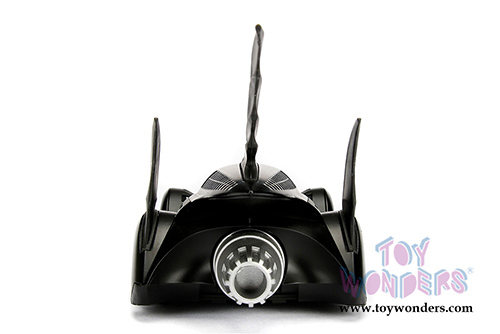 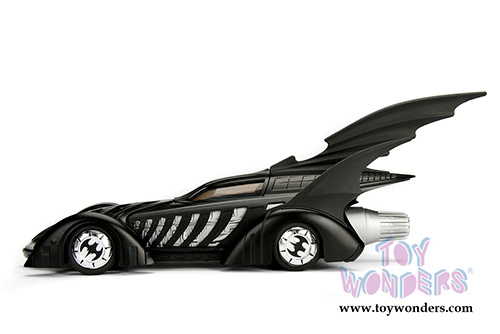 This Batmobile is an 8"Lx 3.5"Wx 2.75"H diecast metal car. 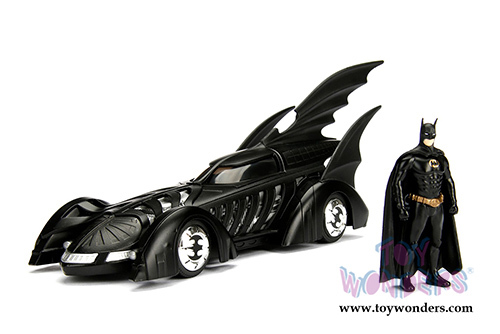 It includes a 2.75" non-articulating diecast Batman Figure. This Batmobile is manufactured by Jada Toys. Individually packed in a window box. Window Box is 12"L x 6"W x 4.5"H. Item 98036 is in BLACK. 6 pcs. 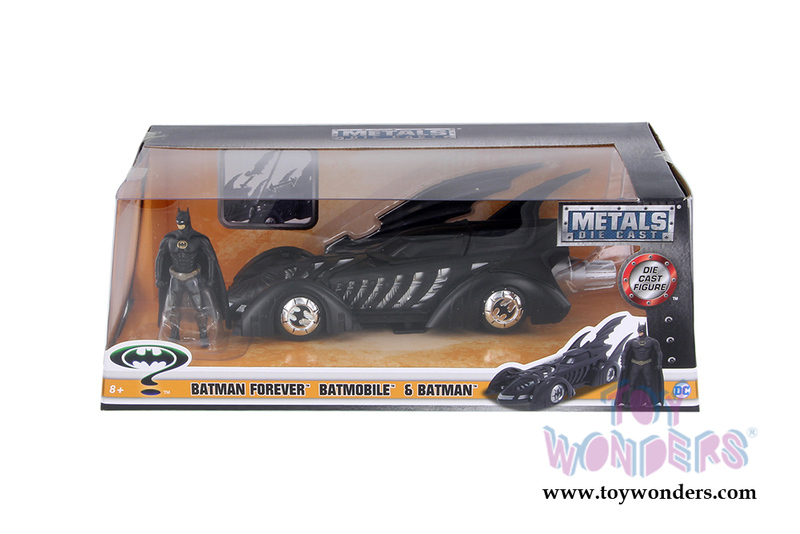 per inner box. 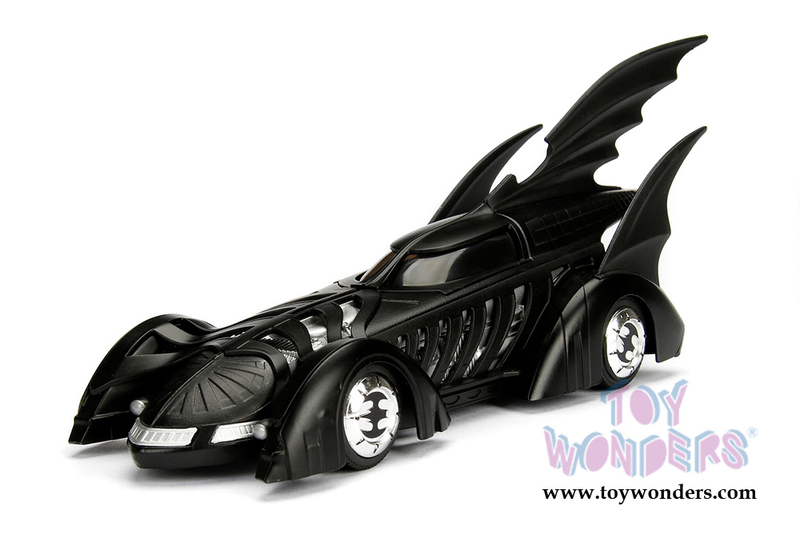 To see more Jada Collector die-cast vehicles (click here).